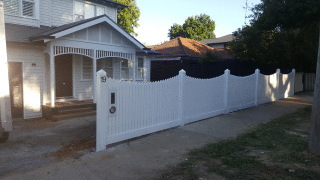 A Picket Fence is a versatile look which can put the finishing touches on a range of home styles, from the traditional weatherboard to a Californian bungalow and can even give a classic finish to your modern home. 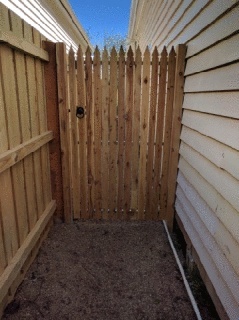 Your fencing project isn’t complete without a fresh coat of paint to match your home. 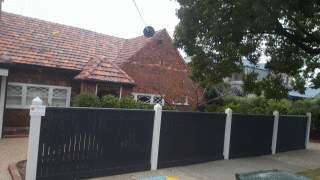 The final product is sure to not only turn heads but also add great value to your home. 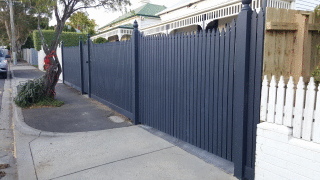 Our expert workmanship will meet all your expectations, you can be assured the team at Melbourne Fencing and Decking will finish your fencing project to the highest standard. 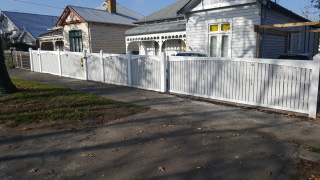 Contact us for quote or to discuss your Picket Fence plans. 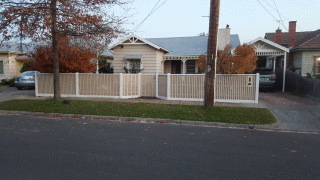 This is a Feature Picket Fence with a Scollop profile in Box Hill South. The Pickets have a pointed head with a Pyramid Pointed finish on the post Tops. 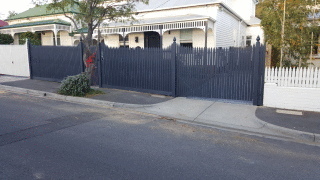 Also was Painted by Melbourne Fencing and Decking. 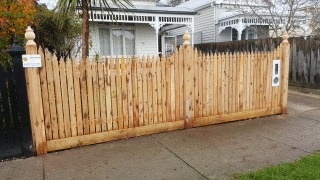 This is an Exposed Post Picket Fence with Capping in McKinnon. 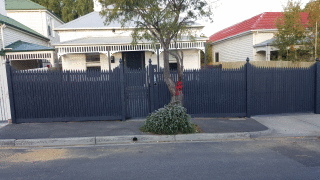 We also primed, filled, sanded and Painted this job and as standard we installed our clients Letterbox Free of charge. 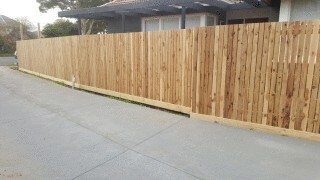 This is a 2 step rise and fall Windsor Picket Fence. 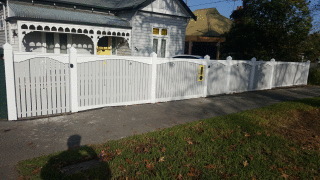 Includes Automated Double Gates, Single Gate plus a Custom Letterbox with number. 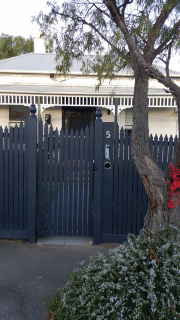 This feature picket fence in Camberwell has capping with Pyramid pointed posts.